Pevonia Phyto Aromatic Mist helps to rejuvenate dehydrated and stressed skin with the help of relaxing chamomile, calendula and French rose extracts. If your skin craves lightweight hydration, this after-sun treatment and spray-on mist can deliver it effectively and quickly. Offered at luxurious spas throughout the world, Pevonia Botanica is a high-end and professional natural skincare line that helps to treat the signs of aging skin and restore youth and vibrancy. No matter your age or limit to sun exposure, Pevonia has a wide range of skincare products suitable for all types of complexions. All of Pevonia's products are cruelty free and maintain a level of global conscience. Pevonia's natural and environmentally friendly products have continued to satisfy skin care therapists and customers both in the spa environment and at home since 1991. If you want to manage your skin with a high quality and natural world renowned beauty spa skincare line, Pevonia Botanica is a secret gem in the world of skincare and beauty. When only an extra dose of hydration is due, nothing beats the application of a hydrating facial mist. Not nearly as moisturizing as a cream or a lotion, mists offer a moist application that helps to promote a softened glow without the heavy feeling of a cream. 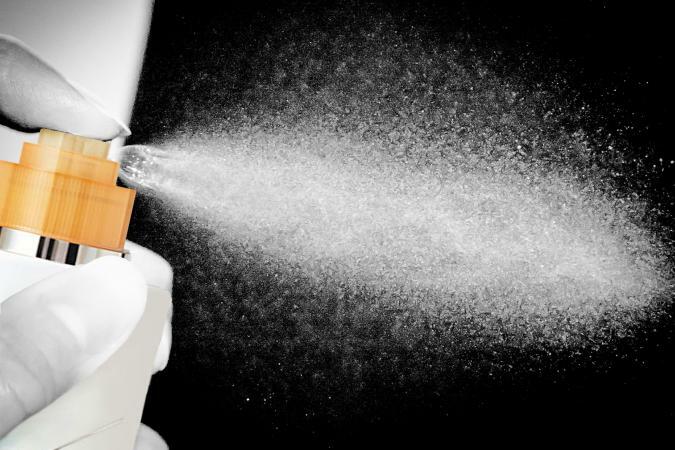 While not as common as a regular day or night cream, there are plenty of benefits in using a facial mist. Facial mists provide a controlled application of moisture and also add a healthy glow to the complexion. Whether you rely on a mist after sun exposure or to wake up a tired complexion mid-afternoon, you can do so without having to remove all of your makeup first, which is exactly why so many women rely on them. Facial mists can also help rejuvenate a tired complexion. If your makeup needs a touch-up, mist a light application of hydration first and discover what a difference it makes. Pevonia's natural combination of Calendula and Chamomile deliver soft and supple hydration, while the French Rose extract calms and scents the skin lightly. 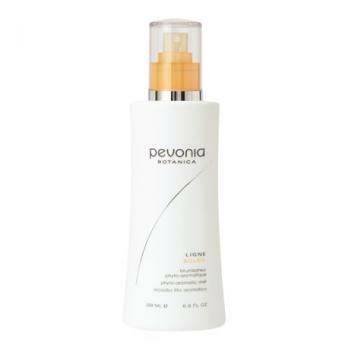 To use Pevonia's Aromatic Mist, close your eyes and spray on the mist wherever the hydration is needed. If you exercise, throw a bottle in your gym bag for a quick pick-up after a strenuous workout, or keep a bottle in your beach bag to help hydrate your face during sun exposure. No matter the sport or activity, Pevonia's Aromatic Mist is gentle enough to use all day, every day as needed. While a mist is normally used in conjunction with a heavier night cream or a daytime moisturizer than contains an SPF, some people do rely on them solely to meet their complexion hydration needs. If you suffer from excessive oily skin or are prone to acne breakouts, you may find a gentle hydrating mist offers all the moisture you need. When you purchase a Pevonia product, you're often in the care of a trained professional that can offer suggestions and recommendations suited for your skin type. Be sure to take advantage of these services at your next spa appointment to discover which Pevonia Botanica products are right for you.